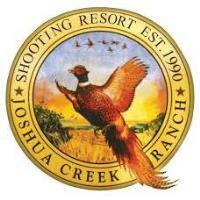 Join the team at Joshua Creek Ranch in Boerne, a premier hunting lodge and Texas Hill Country Resort. Joshua Creek Ranch is a "crown jewel" located in the heart of the Texas Hill Country and has been serving a high-end clientele since 1990. Open year-round, this sportsman's paradise focuses primarily on hunting in the fall/winter months and sporting recreation and events in spring/summer months. All complimented with luxury lodging and fine dining provided by a talented food & beverage team. We’re looking for reliable team players with outgoing personalities and strong service/hospitality experience to join our front-of-house team as waiters/servers and/or bartenders. Must be good communicators and work well with kitchen and event teams to consistently coordinate and deliver a 5-star guest experience. Typical shifts can range from a handful of guests for daily meals to over 400 guests for banquets and special events. We serve 3 meals daily in at least 1 venue and we’re adding a brand new Pool & Cantina that will also require food service staff and bartenders. Typical shifts will coincide with breakfast/lunch or happy hour/dinner on a daily basis. Weekends are an important part of this position. Full and part-time, flexible shifts are a possibility. Must have at least 1-2 years waitstaff/server/bartending experience in restaurant, lodge, resort, hotel or country club where hospitality and guest experience are a top priority. Banquet experience is a plus. TABC certification is required for bartending. Must have reliable transportation and live within a 30 minute or less commute to Ranch. Job pays $11-$15/hour (depending on experience) plus a share of gratuity pool. Health, dental and vision insurance are available with a portion paid for employees. Please send resume and references to: kevin@joshuacreek.com.